Price Jarman will start his professional career in Brazil with . 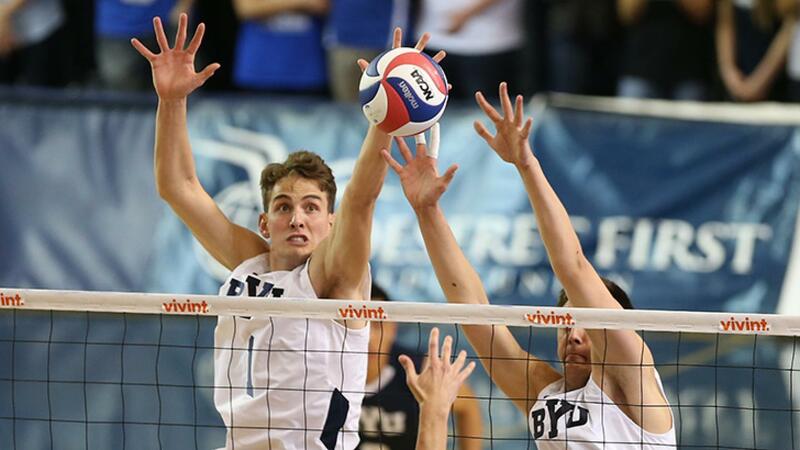 The 6’9″ middle blocker from Las Vegas, Nevada finished up his career at BYU where he was twice named to AVCA All-American Honorable Mention and named has a VolleyMob All-American Honorable Mention as well. In addition to his national honors, Jarman was named Second-Team All-Mountain Pacific Sports Federation. Jarman is the first American player to sign with Itapetininga in the club’s history. They are a newcomer to the Brazilian Superliga for the upcoming season. He and fellow BYU alum, Taylor Sander, will be the first Americans to play in the Brazilian Superliga since 2014 when Dan McDonnell played for Funvic Taubate and Dustin Watten suited up for Moda Maringa. Sander signed with Sada Cruzeiro at the beginning of the summer. Jarman finished his collegiate career with 465 kills and a .463 hitting percentage. His most statistically productive year came in 2016 when he hit .508 with 153 kills and 134 block assists. He helped his team win the Mountain Pacific Sports Federation and reach the finals of the NCAA Championships.